The first FCP Executive Forum of 2015 took place in London on 11 March over breakfast, attended by senior executives from across the rail industry. As well as senior networking, each FCP Forum provides an opportunity to discuss and debate current hot topics introduced by a guest speaker. The first Forum focussed on the important issue of Business Continuity, prompted by recent events at London Bridge, in the Channel Tunnel and at Kings Cross, to name but a few. Our guest speaker Richard Morris provided insight into his experience of embedding a Business Continuity ethos at Eurostar. With attendees from owning groups, operating companies and the public sector, his presentation stimulated lively discussion about a number of key areas, including the industry’s preparations for problems and the need to embed Business Continuity best practice throughout the business. 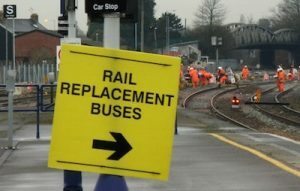 The next Forum will be held shortly after the General Election on the morning of 20 May 2015 and will address the General Election result’s implications for the rail sector. For further information on Business Continuity, click here.